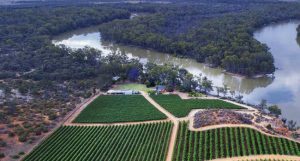 Australia’s largest wine region is a step closer to getting a dedicated wine and food centre to showcase its produce and drive tourism. The Riverland is responsible for more than a quarter of Australia’s annual wine grape production. It is also a globally significant producer of citrus, stone fruits and almonds. However, compared to other regions, the number of growers and volume of production has not yet translated into winery and cellar door equivalents. For example, fellow South Australian wine region the Barossa Valley has 738 grape growers compared with the Riverland’s 980 but it is home to 219 wineries and 88 cellar doors compared with just 55 wineries and 12 cellar doors in the Riverland. The South Australian Government has pledged an initial $200,000 to develop a business case and detailed plans for a dedicated wine and food centre in the Riverland to help address the imbalance. It released a discussion paper on the proposed centre last week and has given the local community and industry until the end of February to provide submissions. Minister for Primary Industries and Regional Development Tim Whetstone, said community input would help shape the vision for the Wine and Food Centre. “The Riverland is a vital food bowl for South Australia and this is a great opportunity to capitalise on the region’s growing reputation for producing premium beverages and food,” he said. The Riverland is about 240km northeast of the South Australian capital Adelaide and includes the River Murray towns of Berri, Renmark, Loxton, Barmera and Waikerie. It is yet to be decided in which town the wine centre would be located or if it would be in a purpose built or refurbished facility. The discussion paper says potential functions of the centre include providing an outlet for local wineries that do not have a cellar door, giving visitors an opportunity to experience a “taste of the Riverland” and showcasing the region’s premium wine, food, beer, spirits and cider. However, it also says the centre should provide non-exclusive access and be commercially sustainable in the absence of ongoing government support. “The discussion paper is quite broad as it is important the community provides extensive feedback which will ultimately drive the concept of the centre,” Minister Whetstone, who is also the Member for the Riverland seat of Chaffey, said. 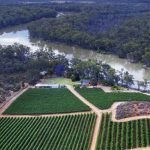 As well as being Australia’s largest growing region, the Riverland has been a pioneer of viticulture irrigation technology. Riverland Wine last year also partnered with the University of Adelaide, Wine Australia and the South Australian Government to create a Digital Vineyard Guidance System – a platform to filter data collected from a suite of remote sensors to improve vineyard efficiency. “The Riverland has some wonderful success stories in the food and beverage industries and I envisage this centre will provide an opportunity to celebrate not only these stories, but the region as a whole,” Minister Whetstone said. “This is an opportunity to continue to drive market growth and consumer awareness by enhancing the profile and reputation of the Riverland. South Australia is responsible for about 50 per cent of Australia’s annual wine production and 75 per cent of the nation’s premium wine. It is also the home of world-renowned brands such as Penfolds, Hardys, Wolf Blass and Jacob’s Creek.